You will receive 2-$25 vouchers for only $25! Cupcakes & More staff are very talented in customizing orders for special celebrations. We offer 9 daily flavors and 3-4 special flavors each day on rotation.We’d love to help you with a stress free dessert! 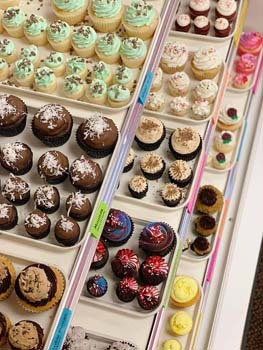 Cupcakes & More has a hodgepodge of sweet treats!! We have something for every craving, celebration and occasion. We also offer several allergen free options. And remember, if you’re a Cupcakes & More friend with food allergies; peanuts, tree nuts, soy, milk, eggs and wheat are used in our production areas. 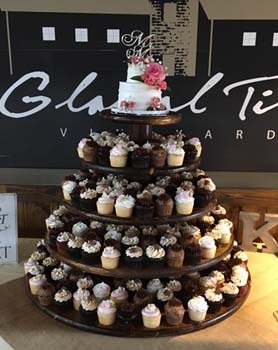 Cupcakes & more…a specialty bakery dedicated to creating and baking several different sweet treats, was founded by Regina Henson in 2011. 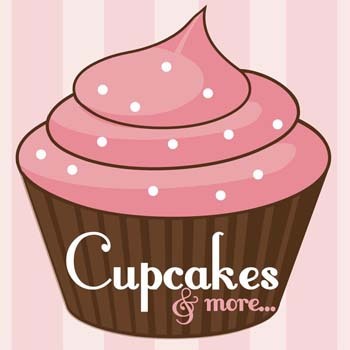 We are Lincoln’s only specialty cupcake shop offering cupcakes in three sizes: Jumbo Gourmet (filled), Regular & Mini. Plus, we make Cakes, Cake Balls/Pops, Brownie Shots and several other sweet treats! So stop in today for a treat or give us a call for an order. 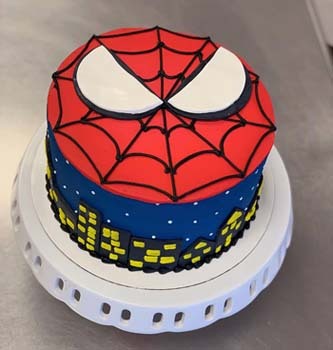 We take special orders daily and provide delivery options in the Lincoln area as well as outside of Lincoln for special events. For pricing inquiries, please give us a call.